Eighty posts are now on this site. 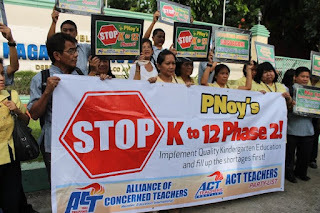 And it all started with First Things First: A Commentary on DepEd's K +12. This article, first published in Philippine Star, was my attempt to examine the elements introduced by the new K to 12 curriculum of the Department of Education of the Philippines. 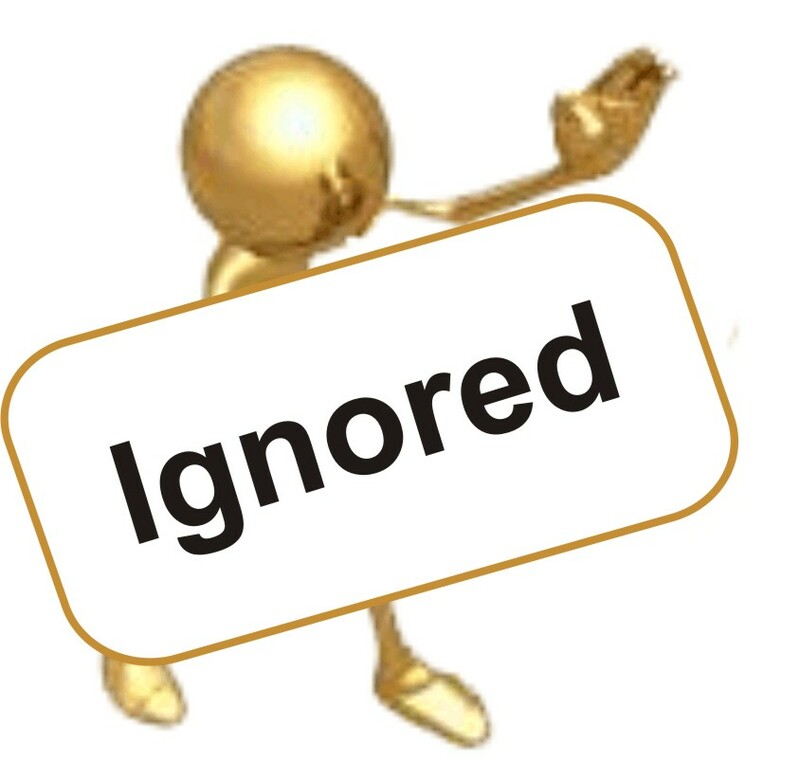 To aid the readers of this blog, it is perhaps time to collate these posts and to summarize the key messages. This blog describes Finland's approach in Solving the Problems of Philippine Basic Education. The article describes briefly the important elements of Finland's education reform and provides links to videos like "Highly Educated Teachers: The Key to Success". Teachers are indeed on the front line. And in the Philippines, it is disconcerting that a columnist and former politician would even remark, "The parents have spoken. The program has started. Teachers should now accept the program," while a more thoughtful comment from a former DepEd regional official says, "The suspicious is that the sugar- coating of K+12 must have been based on the general reaction of education personnel themselves, particularly the teachers, who number almost half a million. Their culture is one of subservience to whoever calls the shots in the agency, and the latter for their part expect total obeisance to whatever initiatives they pursue...."
YouScooper Maria Trinidad Toriano shares this photo of students attending a class amid flood water at a public high school in Hagonoy, Bulacan. Toriano, a teacher of the school, reports that the area is a catch basin every time there is a high tide. She adds the high tide happens every other week and that floods rise up to knee-level. What do teachers have to say? With a pervasive "culture of subservience", there is a silver lining: There are teacher groups in the Philippines that are speaking out. 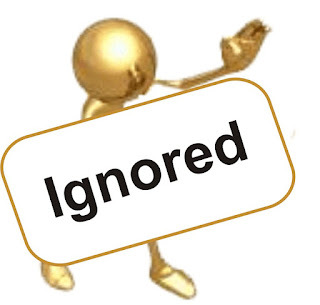 The following articles on this blog are some of their voices: Rather than focusing on the additional years, which most discussions on K to 12 tackle, it is important to examine key elements that affect the quality of education. 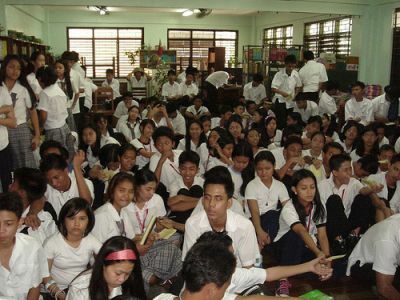 The biggest mistake of K to 12 is its emphasis on matters that are not at the heart of education inside a classroom. Changes in content, changes in grading system, changes in the number of years of basic education are not the things that make education inside a classroom unique. Distance education, online learning, and even viewing or listening programs provided by networks can carry these education inputs. What makes classroom instruction unique is the teacher. And teachers are ignored. "Imagine you are placed in charge of reforming your country's educational system in order to increase students' academic performance. What would you do? Ideas that come to mind likely include the following: lower the age for starting school, give students more instructions, require more homework, establish a prescribed curriculum for teachers with high performance standards for students, increase competition among schools, provide merit-based pay for teachers, and increase accountability of schools through regular standardized, census-based tests and school inspections. All of these tactics for educational reform have been applied in multiple countries. However, one small country in northern Europe did not follow the global trends when reforming its educational system—and it has done best...."
One may add to this list the changes DepEd is introducing this year to schools in the Philippines and the paragraph still brings truth. Those who criticize criticisms against K to 12 take the wrong assumption of having exclusively the desire to improve quality in education. There is even a slogan, "If not now, when? ", as if critics of K to 12 are not asking the same question, "If we do not improve the quality of education now, then when?". Assuming K to 12 is the answer to the country's education problems is a very incorrect assumption. And all one has to do is to compare it against that of Finland and the gigantic difference: In the Philippines, teachers are ignored. 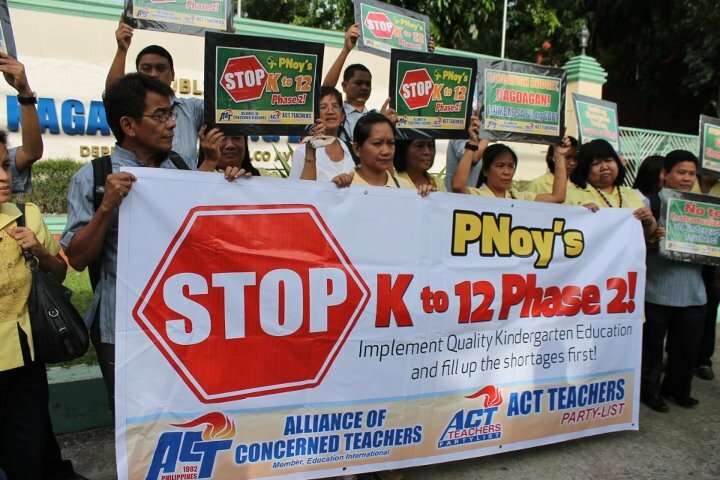 "Stop K-12, Asks Teachers Group"
"Manila Public School Teachers Association: Stop K to 12"
"Amid Grievances, Teachers Meet Classes Today with a Smile"
"PNoy and DepEd, Stop Implementing K to 12"
"DepEd K to 12: A View from Cordillera"
"Severely Underpaid Teachers Given Bulk of K+12 Program Implementation"
And while teachers are ignored in the Philippines, we are all urged to "Listen to the Voices of Teachers." Unfortunately, DepEd's current idea of "consultative" is merely rounding up a group of teachers from each region and dictating to them what must be done. The current predicament of Philippine basic education is illustrated in various posts of this blog: (1) "The State of Kindergarten", (2) "First Day of School: DepEd K to 12", (3) "Education Statistics - Philippines", (4) "K+12, Worsening Shortages to Greet School Opening", (5) "Shortage of Teachers", (6) "New Data on Out-of-School Children: UNESCO", and (7) "Deped K+12 in the News: Information or Misinformation." In addition, the root of the problems lies in the failure of higher education to support basic education in the Philippines. The article "Role of Higher Education" reiterates the intimate dependence of the quality of basic education on the performance of higher education institutions. This post also illustrates the scores of Philippine students in standardized exams and how these correlate with the various factors that describe the quality of higher education institutions. 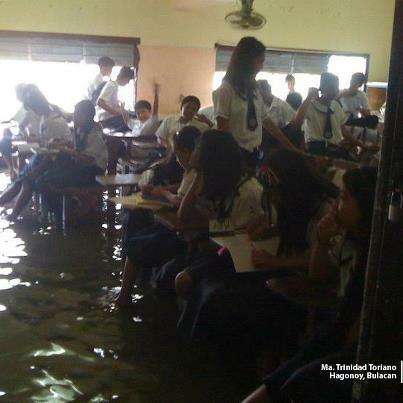 In "Deped K to 12: Schools Continue to Slide", these are again highlighted. Yes, all of these articles criticize K to 12. There are articles published in newspapers and on the web that are in favor of K to 12, but most repeat saying the same thing. There is one post in this blog that exemplifies a pro K to 12 essay, which can be read in "Deped K to 12: Blogging". (1) DepEd's Spiral Curriculum fails to learn from mistakes made by other countries. And since the new curriculum does not take into account the point of view from teachers, the required expertise as well as teaching materials required by a spiral approach are not taken into account. Lynne Diligent has also written a well thought article on why so many elementary students are not mastering math. (2) Discovery-based learning is at the heart of the new curriculum. In "A Learner Discovers But a Teacher Instructs", an important clarification of what discovery-based learning is made. And in Rote Learning is Part of Learning, we are reminded of why memorization is important. (3) Science is not a formal subject in the early grades. "Hooray! No More Trigonometry" argues that science should be taught in the early childhood years. (4) Short instructional hours are discussed in "The Wisdom behind Deped's Short School Hours" and "Listen to the Voices of Teachers"
(5) Mother Tongue - Multilingual Education is examined in "Language is More than Culture and Culture is More than Language", "Mother Tongue", "A British School where Pupils Speak 31 Languages", and "K12 lessons from ICRISAT". (6) Kindergarten is the first additional year that has been added by DepEd to Philippine basic education. Kindergarten serves as an excellent yardstick to gauge the government's readiness to implement K to 12. And in this area, the government fails miserably and the following posts on this blog are on kindergarten: "Kindergarten is not Day Care", "The State of Kindergarten", and "A Kindergarten Graduation in the US". The last one contains a video of a parent describing what children have learned from kindergarten, basically providing us a vision of what kindergarten in the Philippines should be. With the situation in basic education looking so dire, what should be done? Those among us who criticize K to 12 can likewise raise the same question, if not now, when? We are likewise concerned and driven by the same commitment to improve education in the Philippines. Our answer to these problems can be shaped by placing ourselves as having these pupils as children of our own. And we will act now. First things first. These are: Take care of our teachers, treat teachers with respect and recognition, and equip teachers (Let us follow the example of Finland). Thank you for sharing these earlier commentaries on K to 12. I wonder how the pilot schools are doing. Thanks for this one. Also found this post on k to 12. For me, this program might be the solution in Philippines Education. This project can help to reduce the number of dropouts. Education is very important to us. "Unfortunately, DepEd's current idea of "consultative" is merely rounding up a group of teachers from each region and dictating to them what must be done." The are two acts in the Act (RA 10533), one is Strengthening the Curriculum, and second is Increasing the number of school years (refer to title of RA 10533). The former is given as an authority to the the Academic Institutions, for some. The latter requires intensive consultation to the parents as major stakeholders, which did not happen. If a student is asked to stay for a few more hours, beyond his/her regular school schedule, the parents are given notice and asked permission. Two years was increased and no formal notice was served. In the Act, this role of parents was never manifested. The K to 12 law is not just a curriculum issue, it also a BASIC RIGHT ISSUE! Major stakeholders, especially the Parents must be consulted, not dictated.